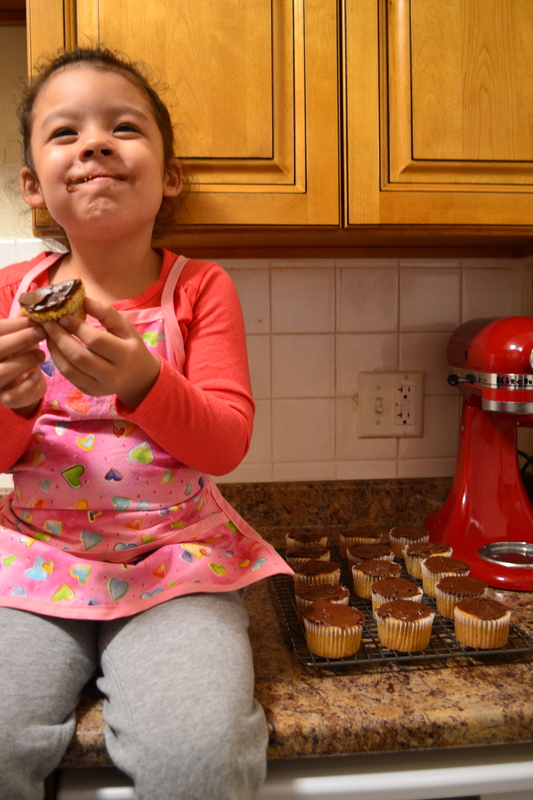 Diva Food Kid Chef series is a fun peek into the lives of kids who love to cook and bake. The series was inspired by the Fox food TV Show Master Chef Junior where kid chefs compete cooking their little hearts out on national TV. We knew right off 4 year old “Chef” Hope had to be our first interview when her mom posted that not only did Hope insist on being called “Chef” but reprimands folks for calling her by her ‘real’ name? As you’ll see for Kid Chef Hope baking is a family activity with her mama and daddy. Even at four Hope gets the food you make is about happiness and sharing with people you love. Kid Chef Hope is 4 and is in her second year of Preschool. Diva Foodies: Do you remember what the first thing you ever cooked or baked? Kid Chef Hope: Chocolate chip cookies! 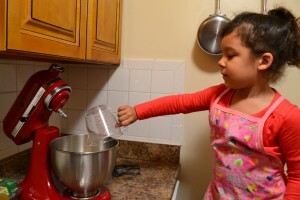 Diva Foodies: How old were you when you first started cooking? Diva Foodies: What is your most fun food to bake or cook? Kid Chef Hope: Cupcakes! I like the frosting and getting to eat them with Mama and Daddy. Diva Foodies: What is your favorite food to eat? Kid Chef Hope: Chicken that Mama makes for dinner with carrots and potatoes. Diva Foodies: What’s your favorite kitchen tool and why? 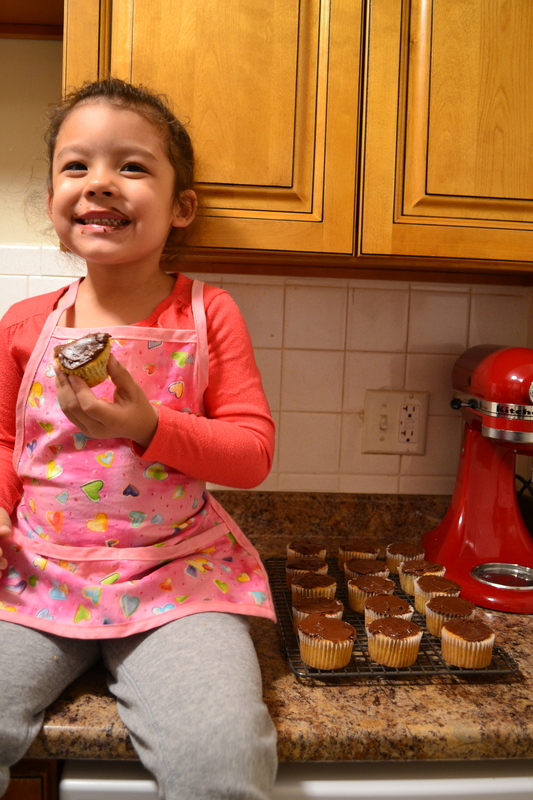 Kid Chef Hope: Mama’s mixer. I like putting in the eggs and sugar and butter and watching it all mix together. Diva Foodies: Do you have a favorite cooking show? Why do you like it? Kid Chef Hope: Chopped. I like to watch the chefs win! 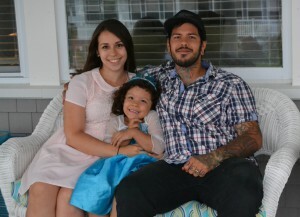 We asked Mom Amy when she knew Hope loved to cook and bake. Mom Amy: From when she was about a year old she was always following me in the kitchen and “cooking” with her toys. Lately she’s been asking a lot of questions while I’m cooking about ingredients, why I cut things a certain a way, how does the oven work, etc. It’s very sweet. Looks like we might have a Master Chef Junior in the wings. Hope, save a couple of those cupcakes for us!